5th July is a black day in history of Pakistan. 37 years ago on this day, a military dictator, General Zia-ul-Haq toppled a democratic government. General Zia ruled Pakistan for 11 years till his death. He destroyed entire social fabric of the society and turned Pakistan into a safe haven for terrorists, drug lords and sectarian monsters. It can be said that on 5th of July 1977, a civilian dictatorship came to an end and it was replaced by a brutal military dictatorship that changed Pakistan forever. Today is observed as a black day by political forces most notably Pakistan People’s Party (PPP), who was the victim of 5th July coup. This day is much important than other black days in Pakistan such as 12th October, when Musharraf took over and 6th October when first martial law was imposed. The damage caused by Zia’ regime was catastrophic for Pakistan. General Zia armed the afghan militants in the name of religion to fight soviets in Afghans. He became an American proxy in order to strengthen his own grip on power. These decisions of Zia shock the very foundation of Pakistan. Today, all the terrorist organizations that are spreading like jungle fire can be traced back to Zia regime. It was Zia who divided the country on sectarian basis to weaken his opposition. Under his regime the culture of drugs and open spread of weapons was nurtured. He did not leave any stone unturned to destabilize Pakistani society for his own political benefit. Till to date Pakistan has not managed to escape the strangle hold of the policies initiated by General Zia. Social evils and terrorism were not the only gift of Zia to Pakistan. He destroyed the political culture of Pakistan and created a new political class. Party-less elections conducted by him in 1985 introduced a new corrupt lot of politicians that joined political arena to maximize their fortunes. Most of the current leadership including Prime Minister Nawaz Sharifs if product of 1985 elections. If the tragedy had not taken place on 5th July then today we would not be facing the family rule of Sharifs. Interestingly, Zia-ul-Haq gave a new life to PPP as well. According to some political pundits, if Zia had not toppled government of Zulfiqar Ali Bhutto then Benazir would have never been prime minister and neither Asif Zardai nor Bilawal would have been national leaders. PPP had lost favor with masses in 1977, when it had to rig elections to win them. Another term in the office and PPP would have been a part of history but Zia didn’t let that happen. Persecution of PPP leadership and its activists for 11 years pumped oxygen in PPP and it re-emerge as a strong political force in 1988 when Zia died in a plane crash. The actions of dictator Zia on 5th July have made Zulfiqar Ali Bhutto a hero and larger than life figure. He is virtually worshipped by many ignorant people in Pakistan. An independent analysis of the 5 year rule of senior Bhutto shows that he was a civilian dictator that could do anything for power. The way he treated his own senior party men, like J. A. Rahim is enough to expose his character. In 1977, Bhutto conducted the most rigged election in history of Pakistan. The rigging kick started a nationwide agitation of Opposition parties known as Pakistan National Alliance (PNA). 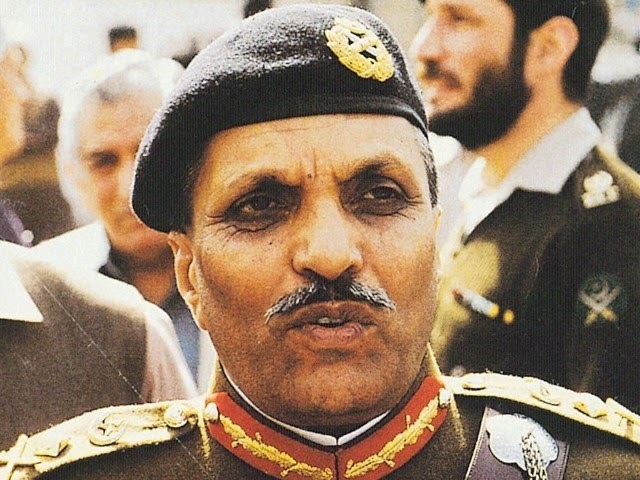 Zia used the PNA agitation as a pretext to impose martial Law on 5th July. No one can deny the mischievous designs of Zia behind the decision of imposing martial law but Zulfiqar Ali Bhutto also was partly responsible for it. Bhutto tried to brutally crush the PNA agitation; he delayed any settlement with them. All the top leadership of PNA was imprisoned during the course of agitation. If Bhutto had displayed courage and shrewdness and accepted the demand of re-election of PNA in April then Zia would not have got opportunity to topple his regime. Most of the PPP supporters will dislike the aforementioned criticism of Zulfiqar Ali Bhutto. The reason is that PPP supporters, also called Jiyalas, blindly follow the Bhuttos and defend their every action. It’s because if such people that parties like PPP and even PML-N come to power again and again despite their abysmal performance in the past. Pakistan can never expect any positive change as long as common people let their emotions take the best out of them and vote for dynasties such as Bhuttos and Sharifs. The damage caused by the Zia was a result of systematic polices during his entire regime. These wrongdoings can’t be reversed overnights. The incumbent government has to show the political will to end the policy of patronizing private militias and terrorist organizations for ulterior motives. There is a consensus in Pakistan that military dictatorships must never be supported. However, politicians like Tahir ul Qadri and Imran Khan, unintentionally, can invite another general Zia and the damage caused by such adventurism would be unimaginable for federation of Pakistan.